Start with a "regular hexagon" . There are six crease lines. 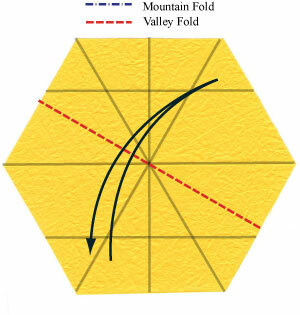 Apply the vertical valley-fold of the step #1. 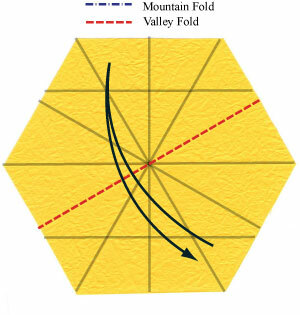 Prepare to apply another valley-fold.